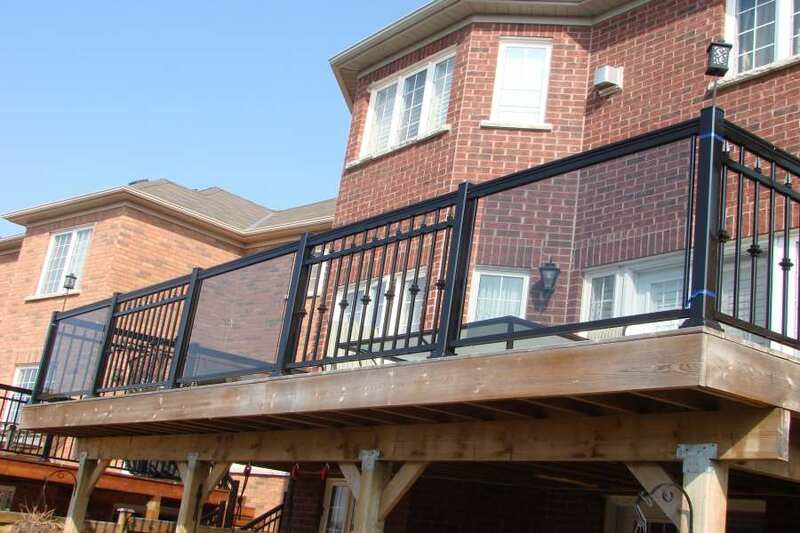 It is a frameless balustrade system used for commercial and residential applications. It is used for glass with a thickness ranging between 12mm to 21.5mm thick. It is a frameless balustrade system for commercial and residential use. It can be used for glass with a thickness ranging between 25mm and 33mm. 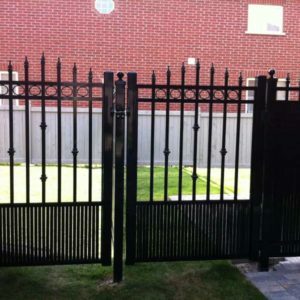 It is a duplex grade 2205 stainless steel ideal to withstand harsh outdoor elements. it can accommodate glass with a thickness ranging between 12mm and 21.5mm. It is a frameless balustrade for residential use and can be used with glass with a thickness ranging between 12mm to 21.5mm. It is a frameless balustrade system used for commercial applications. It is used for glass with a thickness ranging between 12mm and 21.5mm. It is a frameless balustrade for commercial and residential use. it can be used for glass with a thickness ranging between 12mm and 31.52mm. It is a frameless balustrade system for commercial applications. It can be used to a glass with a thickness ranging between 21.52 to 31.52mm. It can be used on glass with a thickness ranging between 25mm to 33mm. It is a frameless and slim panel support system that can be used on glass with a thickness ranging between 10mm and 21.52mm. It is ideal for mounting flat surfaces and posts with a thickness ranging between 42mm and 48mm. It can be also used for glass with a thickness ranging between 6mm and 21.52mm. Ideal for mounting glass panels horizontally and vertically. It is available in different thicknesses and heights. It is a stainless-steel post intended to support the glass panel. It is a modular stainless-steel component of a glass balustrade. It is ideal for post measuring 48.3mm x 2.6mm. It is a #316 slotted stainless-steel tube with a grit finish of 320. It is ideal for use on the glass with 8mm to 21.5mm thickness. It is used for inward opening doors or windows. It is good for glass with 8mm to 21.5mm thickness. 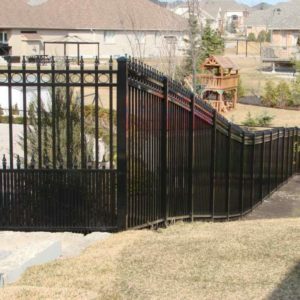 It offers simple locking or latching abilities for glass gates. It is used on glass with a thickness ranging between 8mm and 10mm. 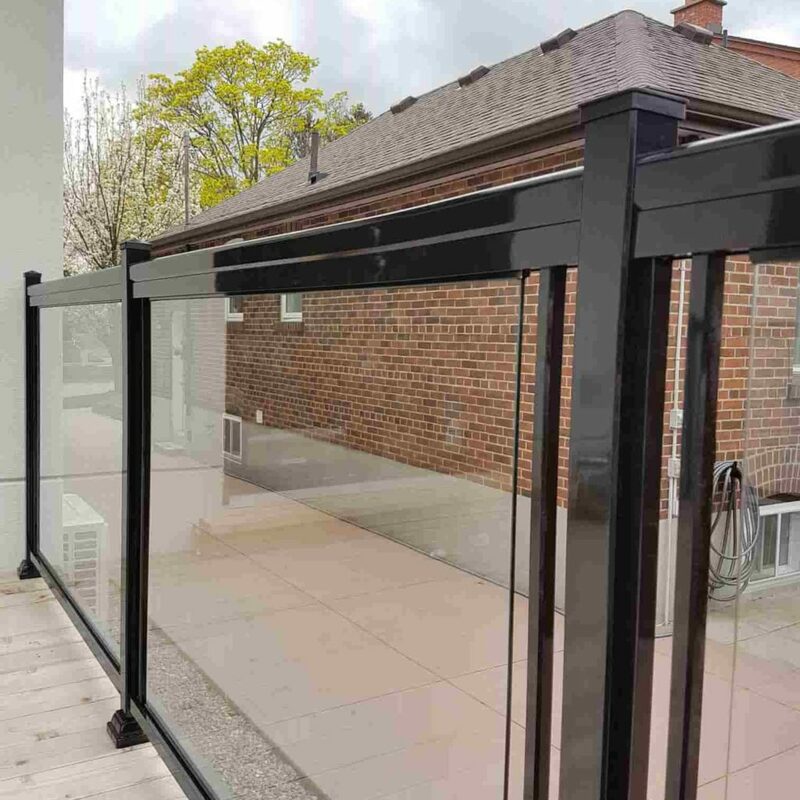 What Is Retractable Balcony Glass? 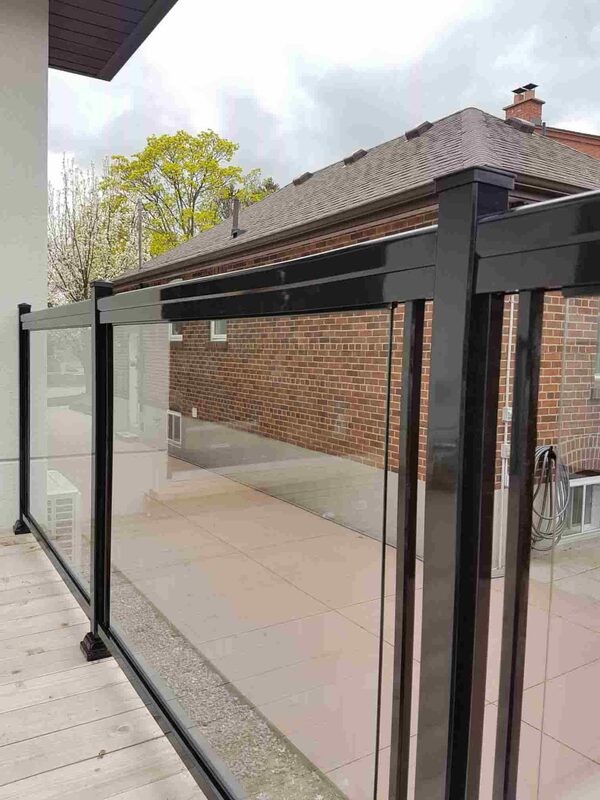 Retractable balcony glass means that the frameless glass can be opened fully. When the glass is opened, it easily slides and folds against the wall. Retractable glass balcony means that all the glass panels can be easily turned aside or can be left partially open. 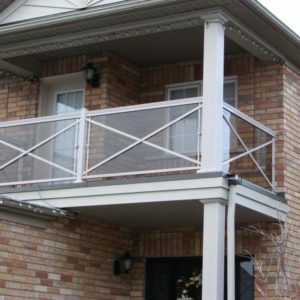 What Are the Types of Balcony Glass? This type of glass balcony extends from the floor up to the ceiling within the railing. Aluminum profiles are affixed on both the floor and the ceiling. The aluminum profiles are fastened with tempered glass panes measuring 12mm, 10mm, and 8mm thick. This type mounts aluminum profiles to the ceiling and above of the balcony railing. Fastened on the aluminum profiles are tempered glass panes measuring 10mm, 8mm, and 6mm thick. This type can withstand intense wind gusts but is lightweight and very easy to slide. How Much Does A Glass Balcony Cost? The customary posted glass balcony system that uses 10mm of toughened glass costs around $460 to $510 per stainless steel linear meter. The structural glass balustrade system using 15mm clear glasses costs around $700 to $860 per linear meter. A balcony glass system with glass balustrade that uses 10mm toughened glass costs approximately $186 per meter. 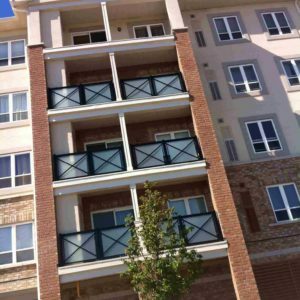 What Is A Structural Glass Balcony? 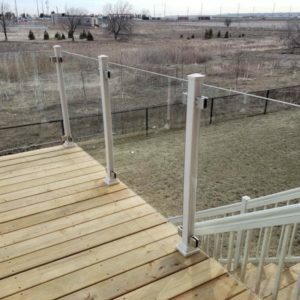 A structural glass balustrade is also known as cantilevered glass or frameless glass balustrade. 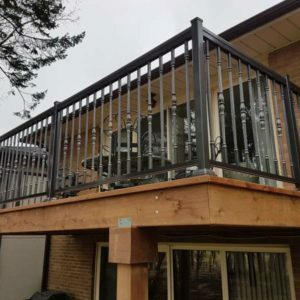 A system is considered a structural glass balcony when the glass is not just utilized as an infill panel but is also used as an actual balustrade structure. What Is A Shoe Profile? A shoe profile refers to the base of the structural glass balustrade. It is the most crucial part that entails extensive design attention. The concept is a solid U channel made from back to back RSAs or extrusions designed from aluminum. The glass is positioned in place using a cement-like material or epoxy clay. 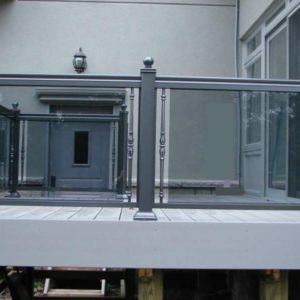 Can I Use Laminated Glass for A Structural Glass Balcony? Laminated glass can be used in a structural glass balcony. However, it is important to take note of the thickness of the laminated glass you are using. A 17.2mm laminated glass is not as strong as the 15mm toughened glass. 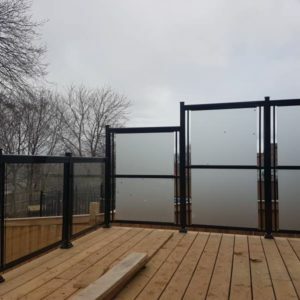 Most contractors recommend the use of heat-strengthened glass and toughened glass on the other side of the laminated panels to ensure its strength and quality. The heat Soak test is a recommended process that entails the glass panels utilized in structural glass balustrades to be tested. This type of test removes 99 percent of unprompted breakage situations that can happen to toughened tempered glass. Spontaneous breakage in a structural glass balustrade could be very dangerous and very costly. 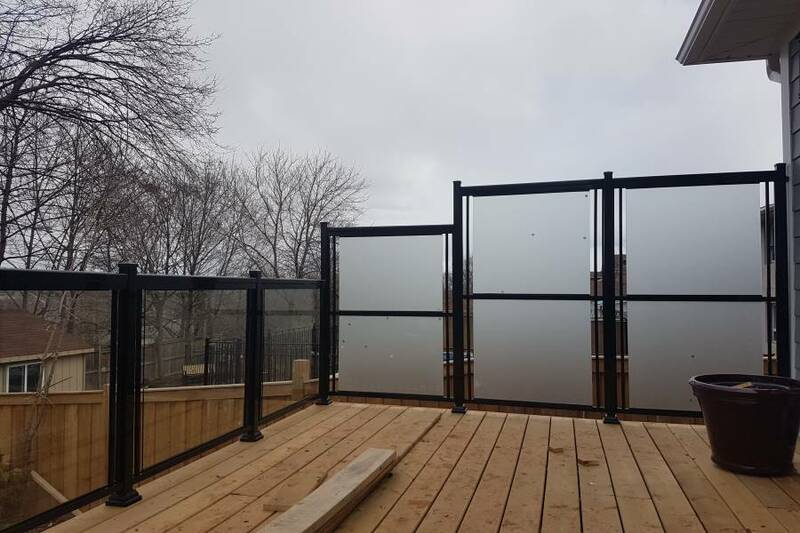 Subjecting the glass to a heat soak test will save you more compared to the cost of the spontaneous breakage of structural glass balustrade. 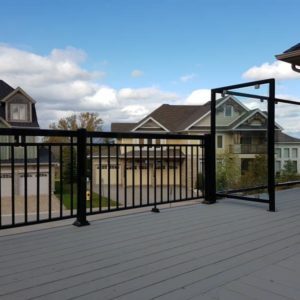 The most important things to consider when designing a structural glass balustrade are the load of the system as well as the weight the system carries out on the glass balcony or on the structure aside from other load requirements. Generally, a structural glass balustrade that utilizes glass of 15mm thick will weigh around 55 to 60 kg per linear meter. This means a 10-meter long structural glass balcony could be more than half a ton or 500 kgs. 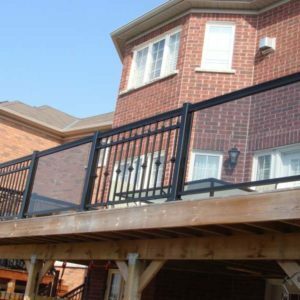 There is a wide variety of handrails that can be utilized with this kind of balustrade. 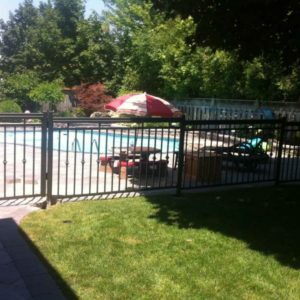 This ranges from the simplest U capping to the costly anodized aluminum or elliptical stainless handrails. It is crucial to produce a handrail that not only looks nice above the glass but also strong. This way, it can bridge the gap in case one of the panels unexpectedly breaks. 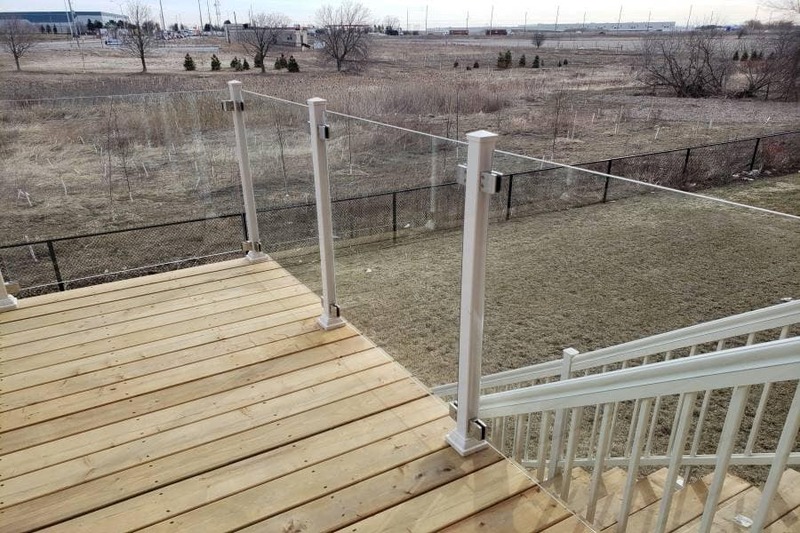 There are numerous methods and systems available today that use structural glass balustrades. All of these apply the basic concept of transporting the load through the glass towards a solid base channel. It is highly recommended that a structural engineer is involved in a project before beginning the system. This is because this type of system entails elaborate design and could have different fixing from site to site. Orbit System Glass Balustrade is a kind of design could eliminate the use of post for up to 3.3m when it is mounted between walls. When posts are used, they should be at least 1.9m apart. The Aerofoil System Glass Balustrade offers a distinct and sophisticated handrail shaped like an aerofoil. It enables 4.0m of glass without posts when mounted between walls. When posts are utilized, they can be positioned up to 2.1m apart. 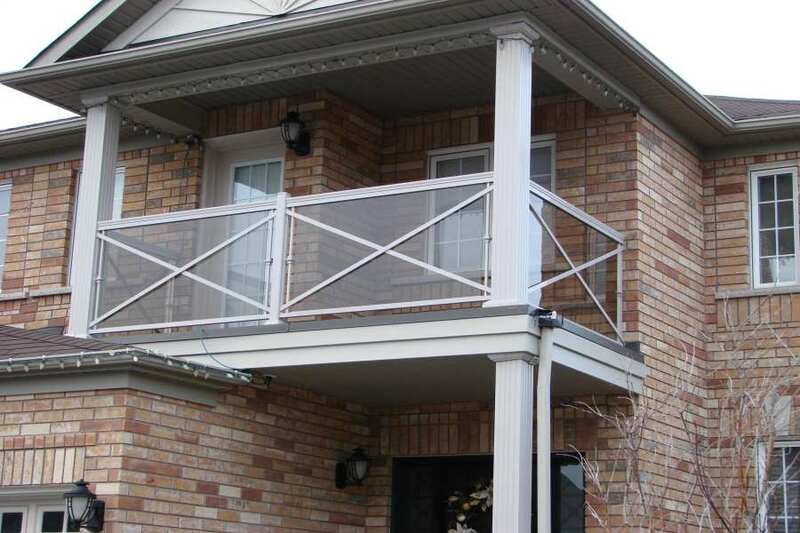 Above floor level frameless glass balustrades is another type of glass railing design for balcony. It allows 100 percent unobstructed views without a line of the handrail. This design has no limits when it comes to size. It also does not require any number of posts or handrails. 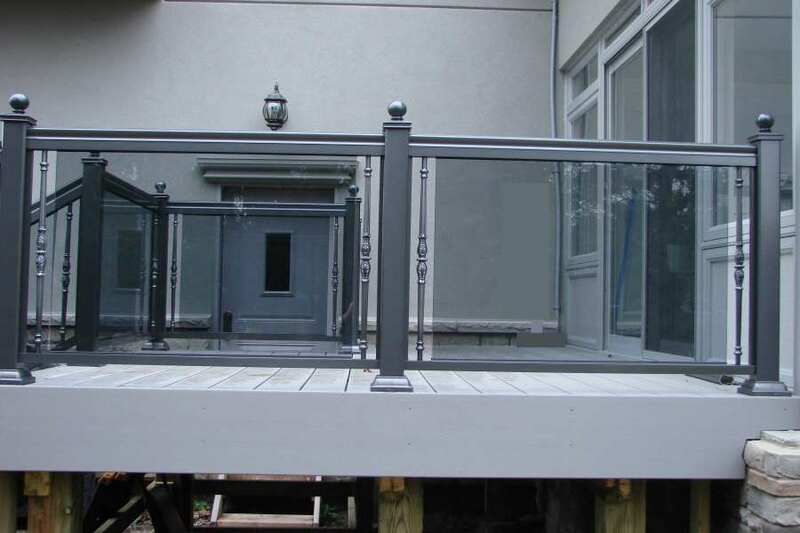 Another type of glass railing design for balcony is the frameless glass balustrade with top rail. It offers an elliptical handrail above and utilizes 21.5mm of toughened clear glass. 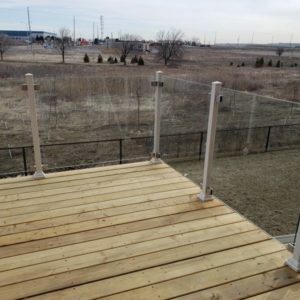 Frameless glass balustrades design is ideal for decking area, balcony, or mezzanine. It creates an almost unseen wall between the view and the viewer. What Does the Self-Cleaning Do to My Glass Balcony? Self-Cleaning is a glass treatment that converts normal glass into extra-smooth water-repellent ones. Since the water could not stick to the glass it clutches at everything else on the glass’ surface. This includes the dirt and dust, which it then carries away leaving the window clean again. 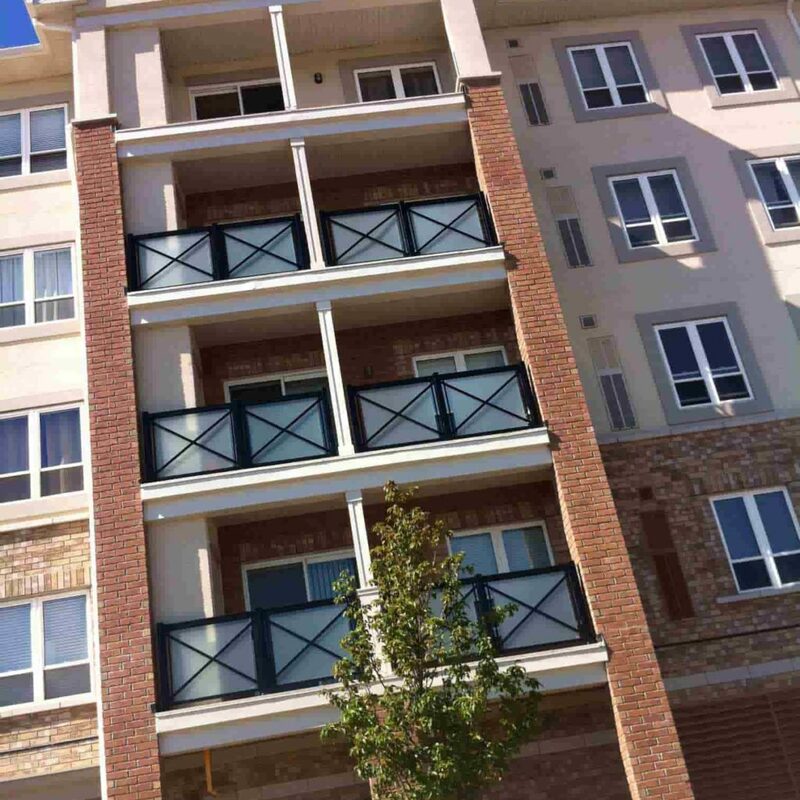 Glass balconies treated with self-cleaning glass treatment cleans themselves every time it rains. 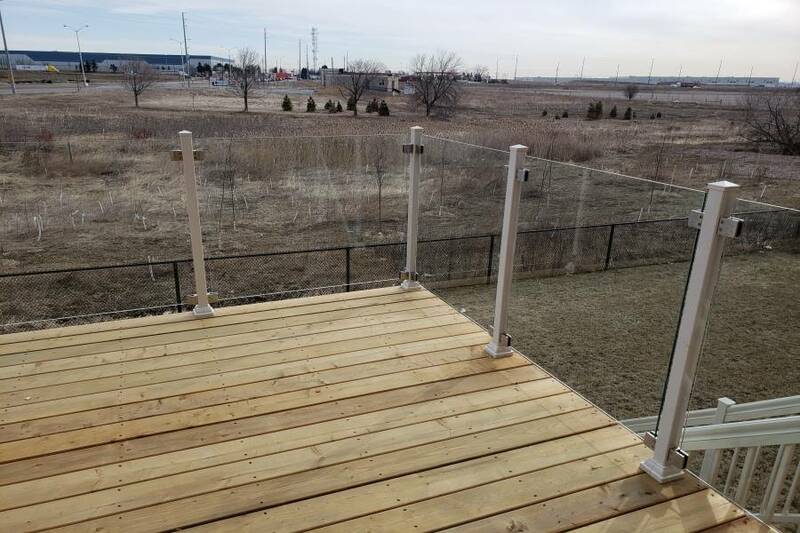 Compared to untreated glass, which is not as smooth as expected, glass balcony coated with self-cleaning glass treatment is very smooth that dirt can’t stick on it. Untreated glass is filled with microscopic ridges that catch dirt, dust, and grime. Their ridges prevent the water from washing the dirt away and leaving the surface looking grimy. 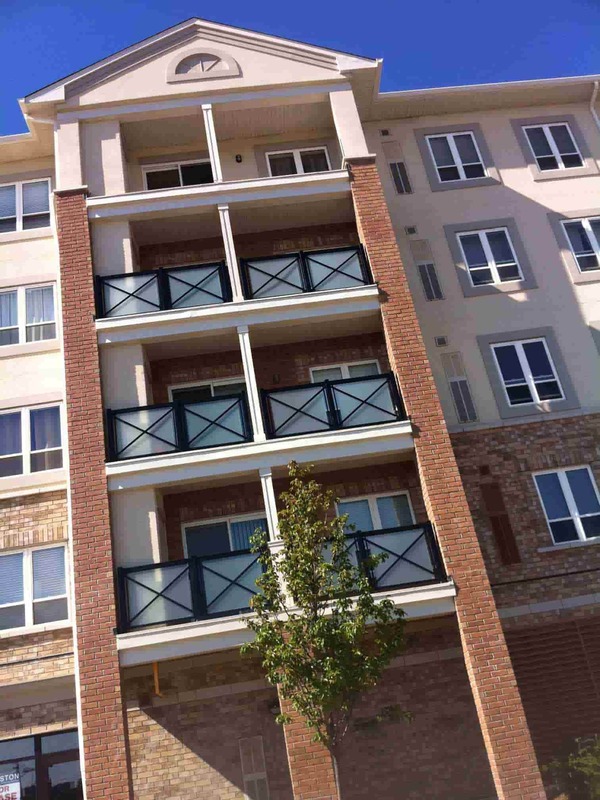 Many contractors recommend self-cleaning treatment for their glass balcony or structural glass balcony. This treatment acts in a couple of ways to clean its own surface. First, the dirt absorbed on the glass is chemically broken down by photocatalysis. Then, the water washes the dirt by creating sheets caused by low contact angles. Most self-cleaning glasses contain Titanium Oxide. This is a popular coating used for hydrophilic surfaces that are self-cleaning. This chemical is ideal because of its good chemical and physical properties. Is It Possible to Have Curved Glass Balustrades? Almost all types of glass supplied in flat glass can also be supplied in curved glass for use in radiused glass balconies. There is a wide range of curved glass balustrades including the 10mm clear type, tinted alternatives, opaque glasses, and laminated glasses. However, bent or curved glass balustrades usually cost higher compared to the flat types.